Whether you’re camping with the family, spending a day at the lake, or lounging around the pool, sometimes all you need is a nice hot shower. With the Eccotemp® L7 Portable Tankless Water Heater, getting that hot shower is easy. Simply attach a garden hose and a 20-pound (lb.) 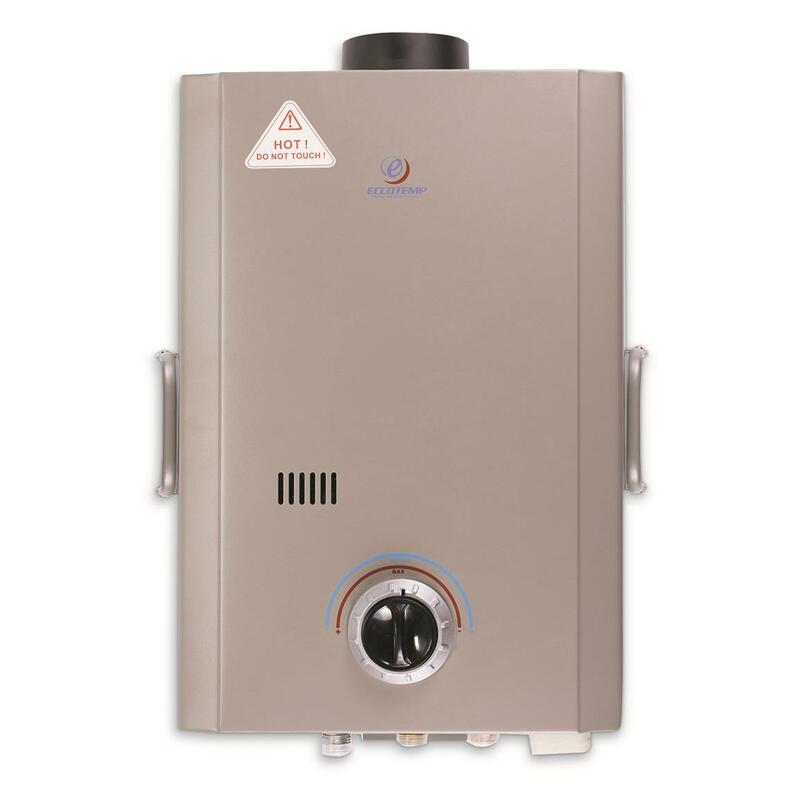 propane tank and you are guaranteed to enjoy the luxury of hot water anywhere. Electronic ignition powered by (2) D batteries makes it great for off grid or any location where electricity is not readily available. 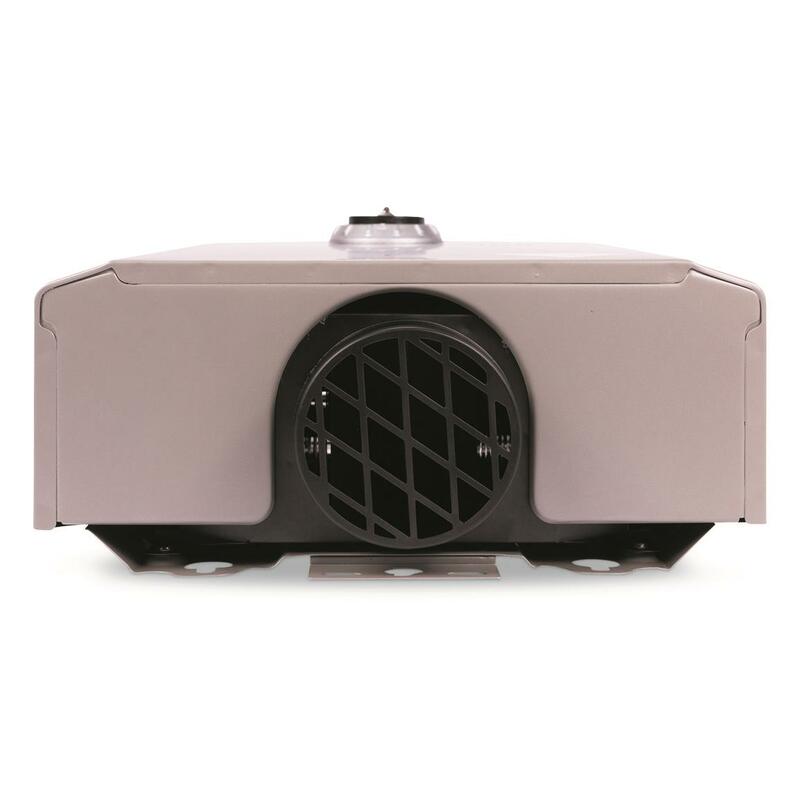 Wash your car, wash your boat, take a hot shower after a long day at the beach, wash the dogs or the horse…the Eccotemp L7 does it all. 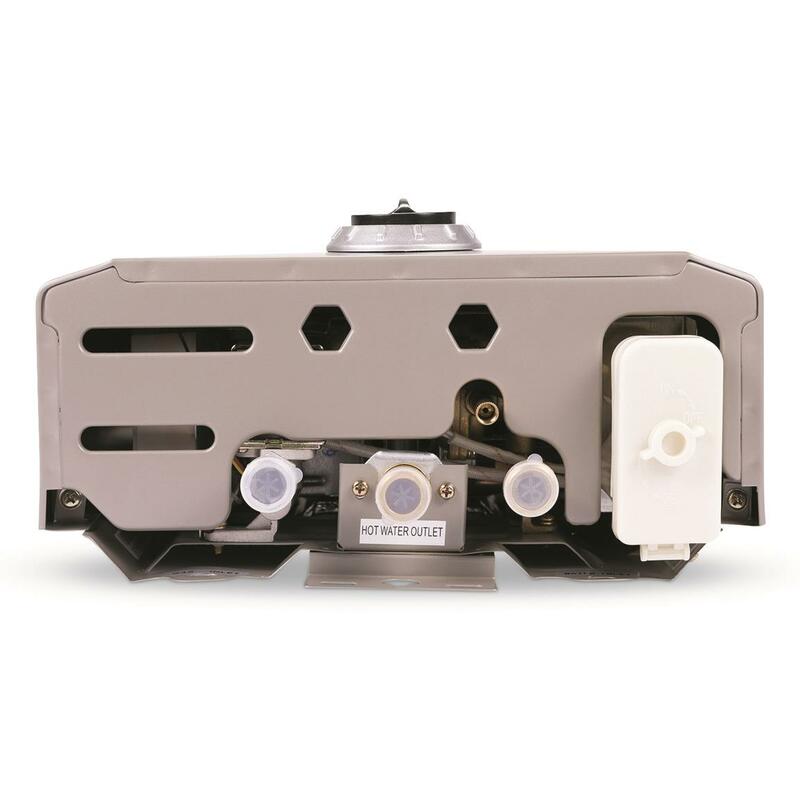 You can even add the Eccotemp L7 to a pressure washer for an even better cleaning. 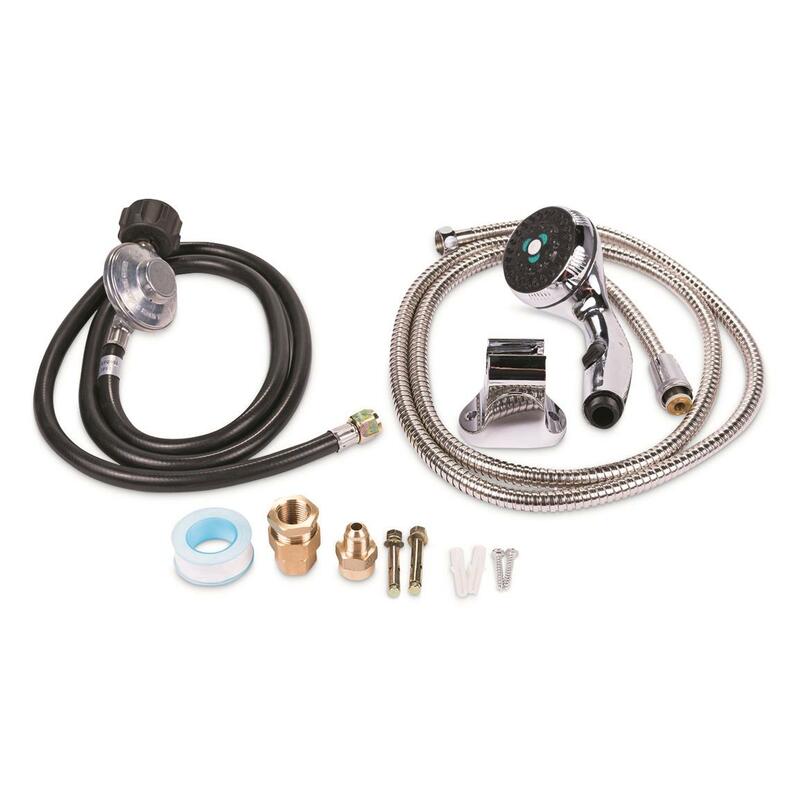 Plus, the Eccotemp L7 features an upgraded chrome shower head with stainless steel hose for years of reliable service. 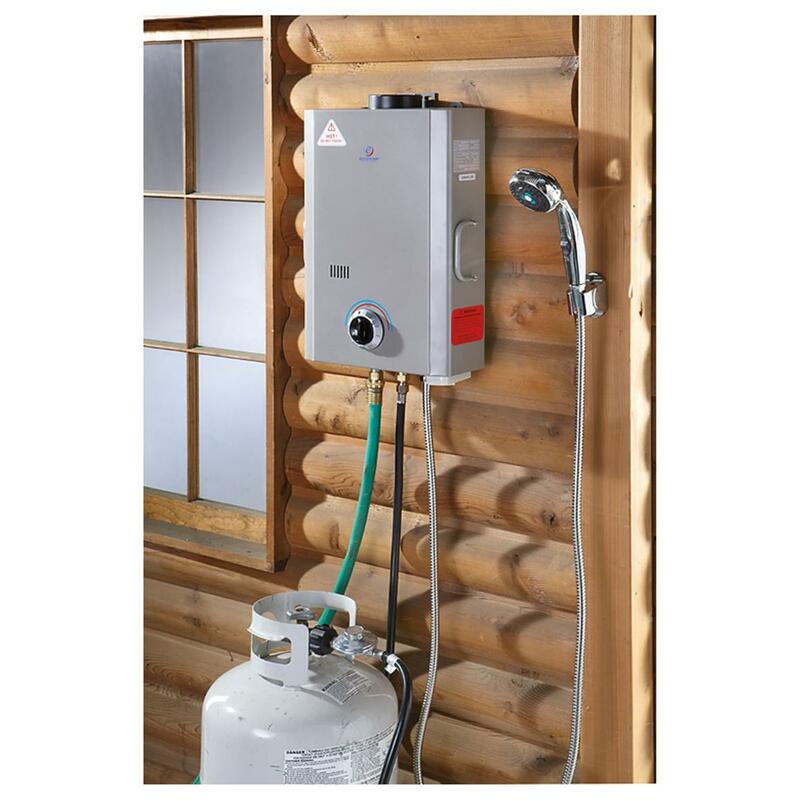 Please note: The Eccotemp L7 Portable Tankless Water Heater has been tested for use at elevations up to 2,000 feet. 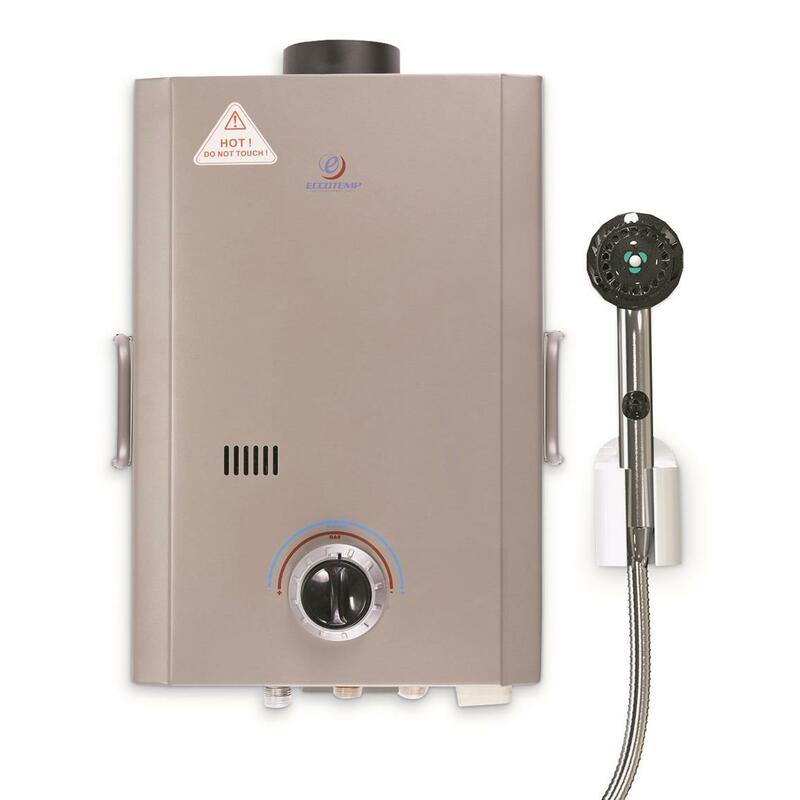 Installation and use of the Eccotemp L7 Portable Tankless Water Heater above 2,000 feet may effect overall product efficiency and performance. 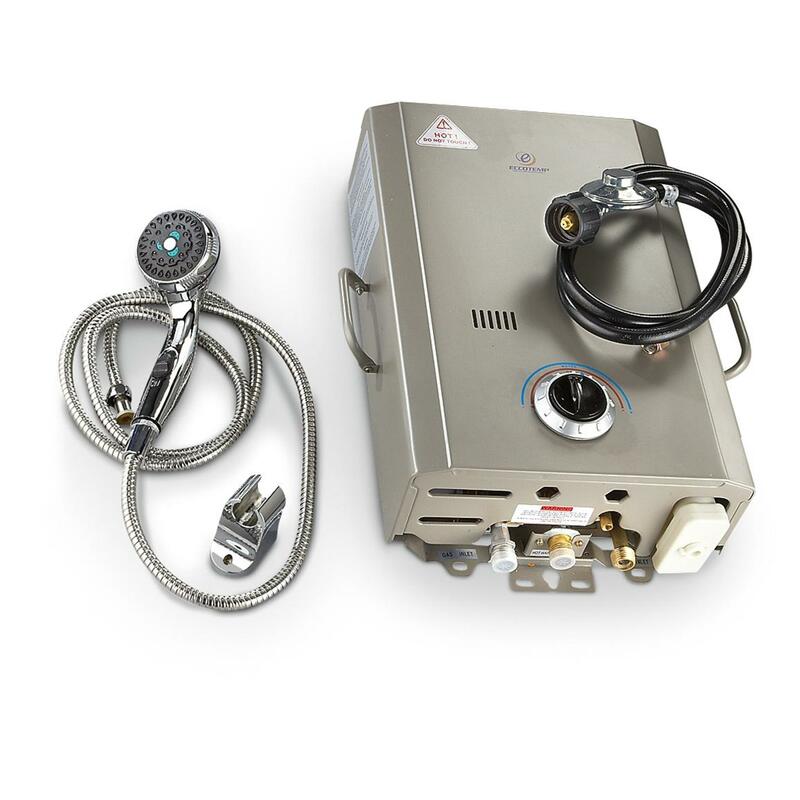 Installation and use of the Eccotemp Portable Tankless Water Heater above 5,000 feet is not recommended. Dimensions: 19.5" x 13.5" x 6.5'd. 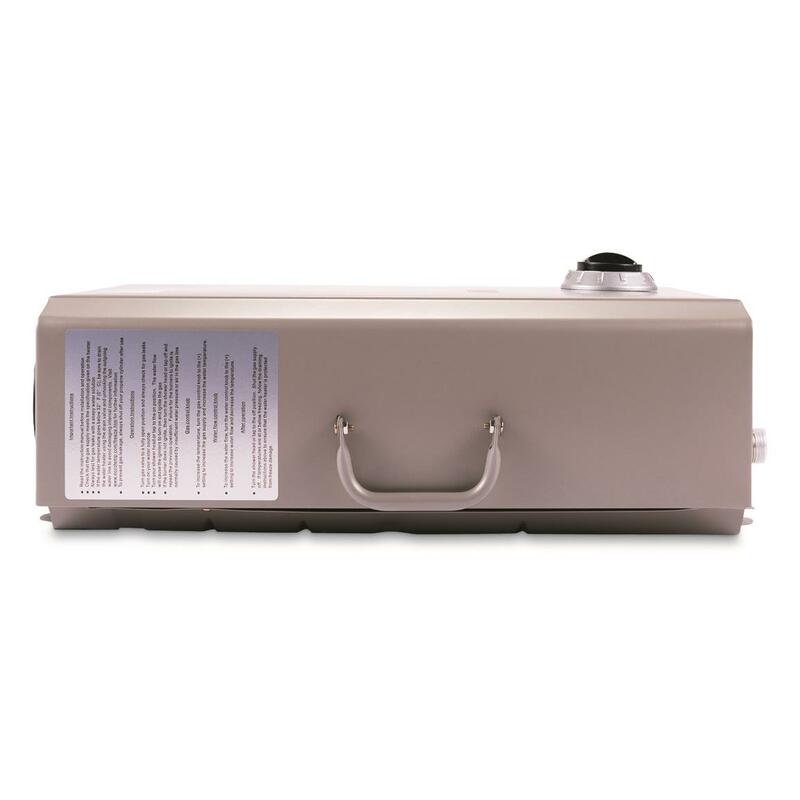 Eccotemp L7 1.7 GPM Portable 41,000 BTU Liquid Propane Outdoor Tankless Water Heater is rated 3.6 out of 5 by 5. Rated 5 out of 5 by SOUNDDADDY from Nice Unit It's very cool ... works well ...you can get continuous hot water by finding the happy spot between your water flow and flame size and pump hot water all day.I use it to heat an outdoor hot tub ... it allows me to turn down the electric heater to 80 degrees then I use this to raise temp to about 100 or more pretty quickly ! Rated 1 out of 5 by speedy from water doesn't stay hot and goes cold at random, may be a defective unit? Rated 4 out of 5 by GrannyGruber from Awesome product for off the grid I installed this waterheater at a off the grid camp with all propane appliances ,it worked amazing. The only glitch is if you wet down, shut the water off to wash your body then turn the water back on , the water is extreamly hot . The water stream needs to be directed away from you until the tempature is regulated. 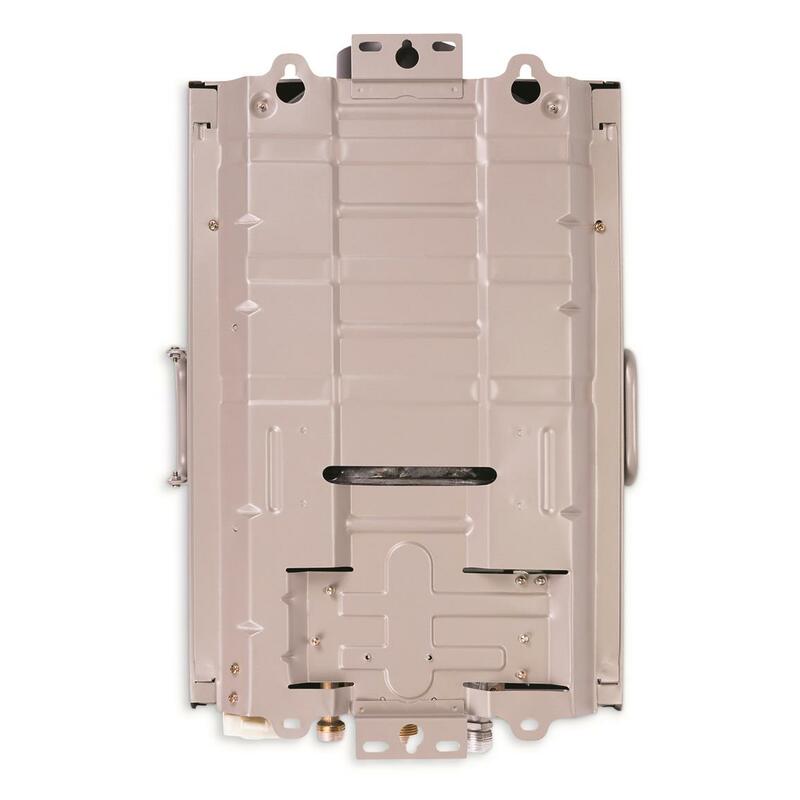 This happens because the water in the heat exchanger has already been heated when the water was shut off, then the unit fires and reheats it . Otherwise a great product. I will purchase another unit to use in my garage ! 19" x 14" x 5" folded, 7 lbs. A must for backwoods trips and bug out bags. Keep your portable toilets in working order! Measures 16.5"l. x 16"w. x 17"h., 12 lbs. Portable convenience for going while on-the-go.